A man has been arrested over an attack on football star Gary McAllister. 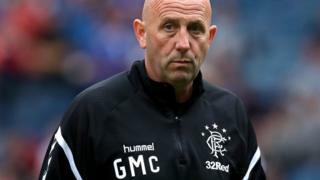 The Rangers assistant manager was outside a bar in Leeds city centre when he was assaulted at about 04:00 GMT on 24 March. Former Leeds United captain McAllister was reportedly punched in the face and needed hospital treatment after the attack in Call Lane. West Yorkshire Police said a 32-year-old man arrested on Thursday night had been released under investigation. He played for Leeds from 1990 to 1996, during which time they became champions of the former First Division.